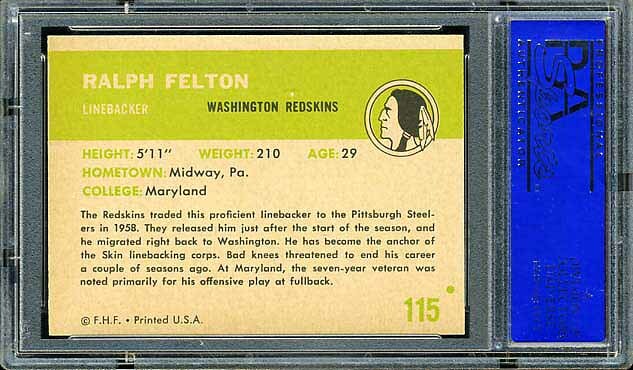 The complete 1961 Fleer Redskins team set is shown below. 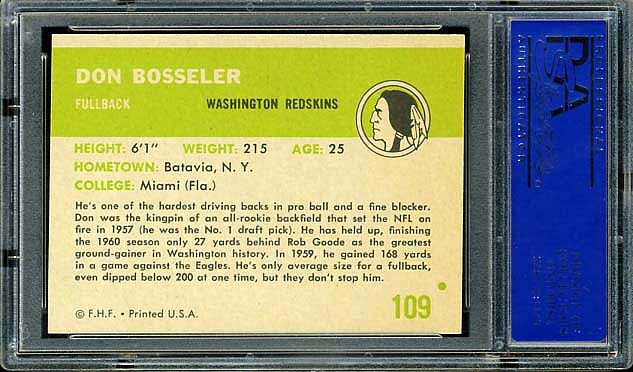 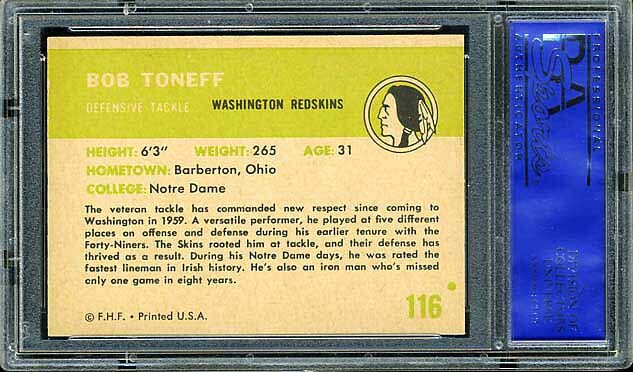 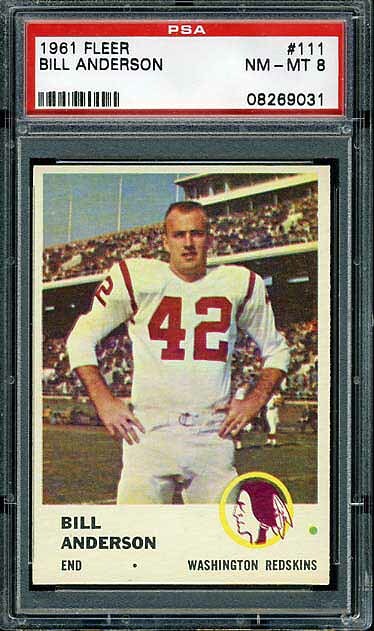 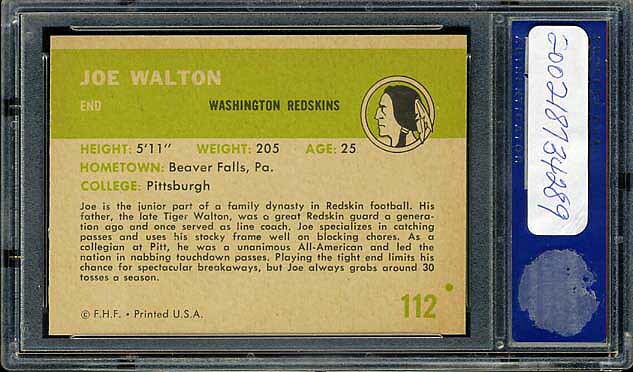 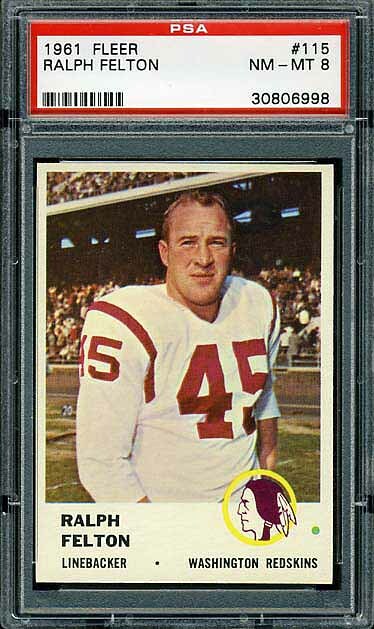 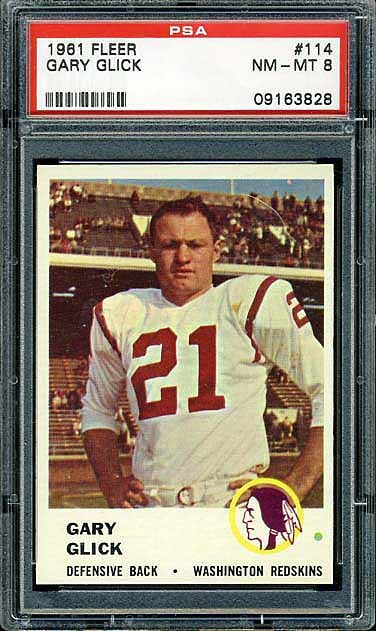 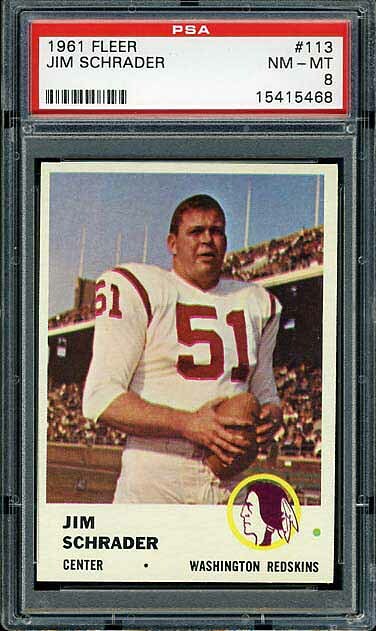 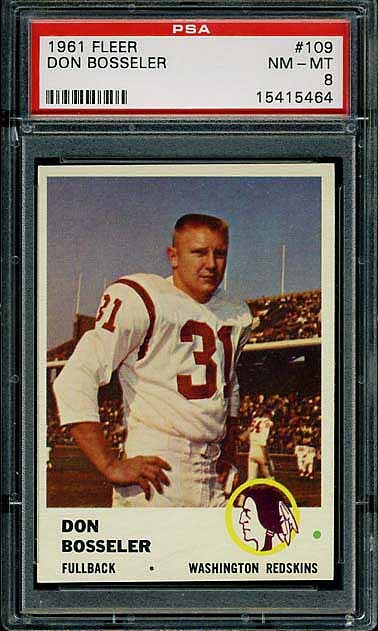 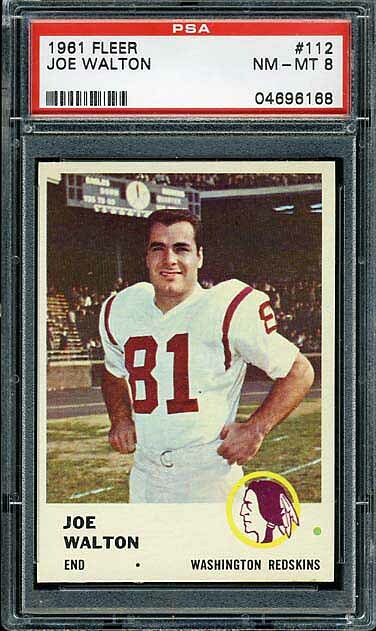 This is the first of three 1961 sets that Redskins football card collectors need to be aware of. 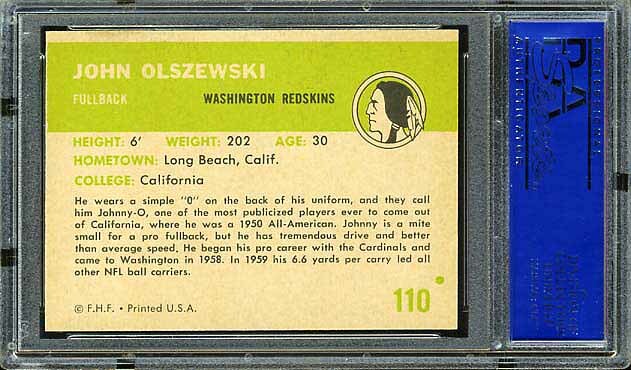 The notable card in this set is #110 Olszewski. 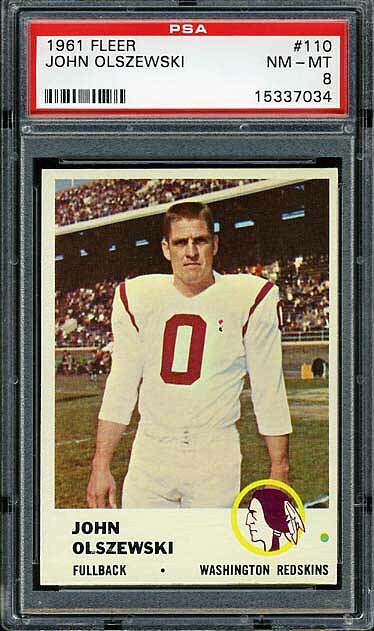 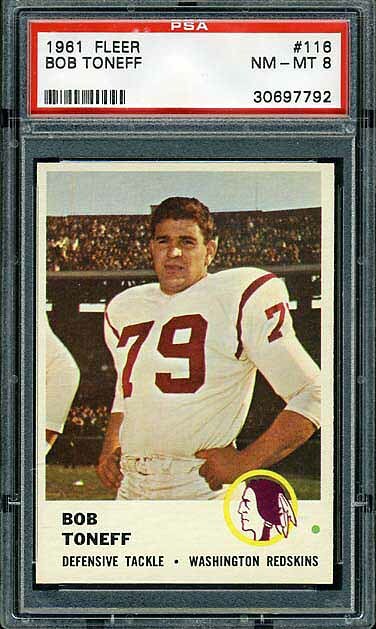 As far as I know, this is the only card showing a Redskins wearing the number 0. 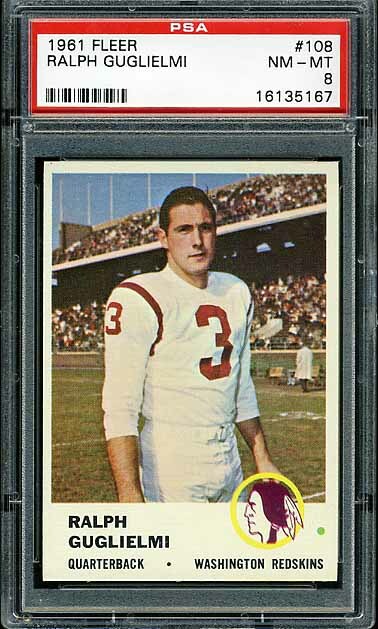 If you are aware of any other Redskins that have worn this number, please let me know.